The Town of Mono is creating a Pollinator Preserve. This preserve will be located on Town of Mono land on Hockley Road just west of Hurontario St. next to the Headwaters Tourism and Dufferin Board of Trade offices. The construction and planting phase » This phase will involve physical work – some of it moderately heavy. The Town is interested in volunteers to help with plantings etc. but would also like to hear from interested parties with equipment for creating trails, berms and placing rocks and from businesses that may want to donate seeds, plants, benches or interpretive signage. The maintenance phase » This will involve the ongoing gardening care – weeding, culling and introducing new plantings & etc. Gardening expertise is not necessary for both phases - but is an asset. If you are interested in volunteering for this project, please complete the following form. Is your "How Do I?" question not listed? Fill out the form to let us know what you would like answered. What "How Do I" question would you like answered? Dufferin.Biz is a joint project between the County of Dufferin, its member municipalities and local groups designed to market the collective assets of our community. 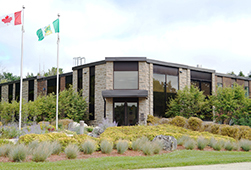 Their goal is to promote to the world the unique strengths of Dufferin County that differentiate it from other regions and that offer the best environment for businesses and families. Dufferin.Biz is a champion of local business and local ideas that support the growth of existing business community and provide an avenue for investment from outside our community. Linking farmers & producers with consumers & businesses. Here in Dufferin County we are proud of our agricultural history. We have some of Ontario's best soil, now famous for our potatoes. We are a county of very large farms and very small farms, farmers who have been here for generations, and others who are coming to Dufferin to farm for the first time. Famous for potatoes, we are also large dairy farmers, cattle and calf operators and of course grow hay, corn, soy and many other market vegetables, fruits and plants. Headwaters Communities in Action (HCIA) is a citizens group that fosters leadership and action in support of a long-term vision of community well-being for the Headwaters Region. They do this by helping to inform and engage citizens about issues affecting the well-being of our community. By hosting community conversations and encouraging people from different sectors and municipalities to work together, they help to coordinate effective responses to shared issues. My Dufferin Service Directory includes organizations offering services to families in Orangeville, Shelburne, Grand Valley and surrounding areas in Dufferin County, with a focus on non-profit, municipal/government and other community services that support the well-being of children and families. Further details are available on their website. It’s getting pretty crowded underground. There could be gas pipelines, electrical services, telephone and cable TV as well as water and sewer connections. In addition to these types of buried services to your home, there could be distribution networks for utilities that serve your neighborhood and community. In some cases, such as pipelines and fiber optic cables, they may even be part of a national feeder route. 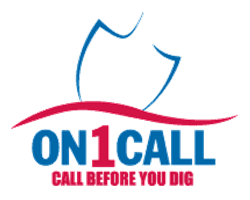 Ontario One Call (ON1Call) was formed in 1996 to establish a call centre that receives excavation locate requests and notifies registered owners of underground facilities within the vicinity of the dig-site of the planned excavation. PROBUS Club of Orangeville, serving Orangeville and area, is a not-for-profit social club open to retired and semi-retired professionals, business and like-minded people, and their spouses. No fund raising or commitments other than a low annual membership fee. Meets at 10:00 am on the second Thursday of every month in the Orangeville Agricultural Society Event Centre to socialize, hear about club activities, enjoy refreshments, and listen to an interesting guest speaker. Various interest groups meet throughout the month to take part in activities and share their knowledge. Further details are available on their website. Road Watch is a joint police and citizen program that makes it easy to report dangerous and aggressive drivers to the OPP while remaining anonymous. Forms are available at Mono Plaza, the OPP detachment in Primrose and on the Mono Community Policing web site. Please consider making use of this program as it can, and has, saved lives. Did you know that you can dial *OPP (*677) on your cell phone to contact the OPP for non-emergency purposes? supporting seniors experiencing memory issues with gentle medication and appointment reminders; and much more! Their expanded check-in service in Dufferin and Orangeville is now providing coverage in the mornings and afternoon/evenings - 7 days a week - year round - delivered by skilled volunteers who are dedicated to serving seniors and their community. TeleCheck Dufferin/Torchlight is reaching out to interested people of all ages to train as volunteers. This is a unique opportunity to put your years of wisdom and experience to use and to learn new skills - that are transferrable to school and studies; work; personal life, interpersonal relationships and other volunteer opportunities. Volunteer Dufferin, a Headwaters Communities in Action (HCIA) project, is a web-based platform that matches volunteers with a broad range of opportunities in Dufferin County. As one of the pillars and indicators of Community Well-Being, our mission is to strengthen the volunteer base in Dufferin and increase community involvement and connectivity by engaging and mobilizing citizens in volunteering in Dufferin. Whether you're an organization looking for volunteers or an individual looking to contribute to the community, it is the "go to place" for volunteering in Dufferin.